Half the fun of partnering with FiveStars is becoming part of our large network of local businesses and loyal customers. At the end of the day, the more customers you enroll in your program, the more profitable it will be! We know you already try your best to get employees handing out as many cards as possible, but there are also a few very easy ways to increase signups by using your online resources. With that in mind, here are a few tips on promoting your loyalty program not only to your customers, but to the entire FiveStars’ network as well! Just type an @ before FiveStarsCard. If this doesn’t work, make sure you’ve “liked” our page. Step 2: Write a status update about joining our network as well as the rewards program you’re offering. 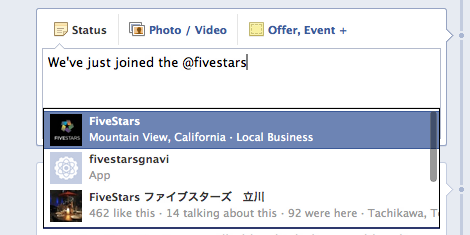 Make sure to “tag” FiveStars in the post so that it will also show up on our Facebook page! Step 3: Keep your customers excited about your program by having specials, like 2 point Tuesdays, or by sharing special customer reward moments. Again, make sure you “tag” FiveStars on the post so it gets shared to our network as well! 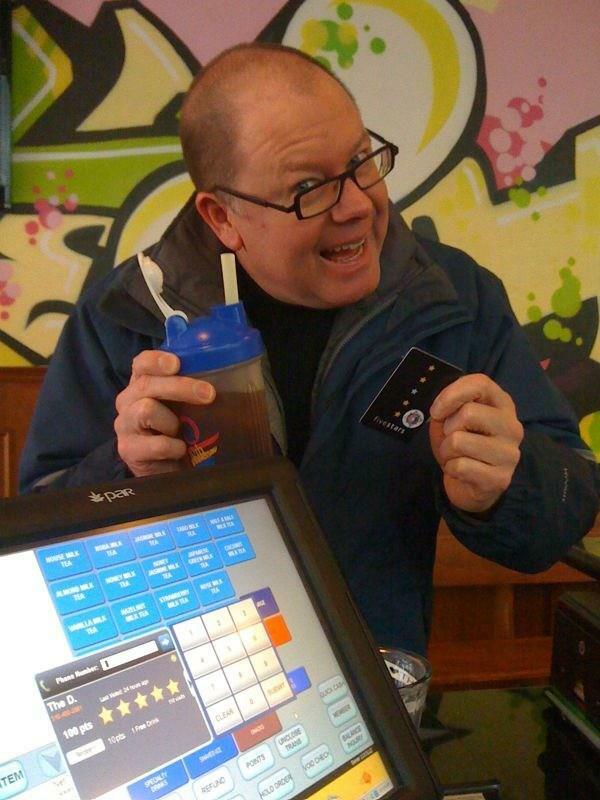 This is a client’s photo attached to a status update announcing their loyalty program. 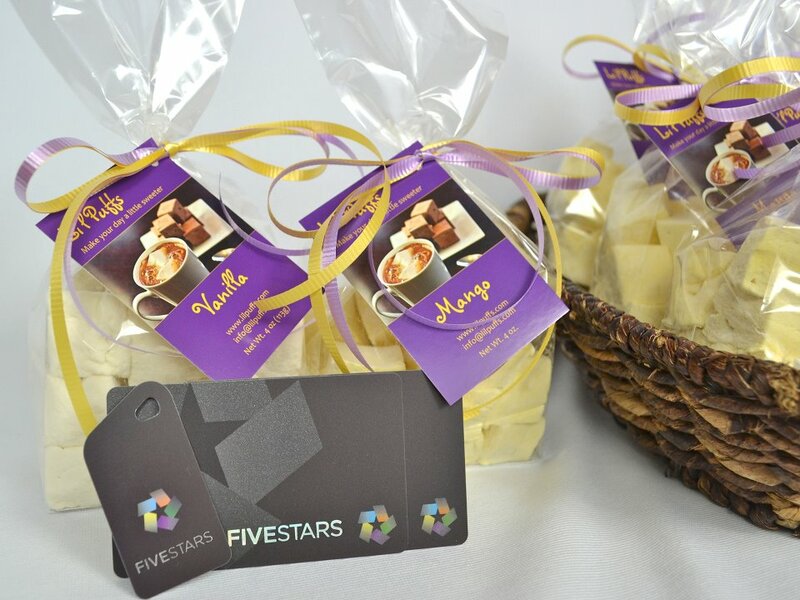 Notice the delicious marshmallows (the reward) and the FiveStars cards (access to rewards). This client used photoshop to create an image to post on their page. Again, notice food + FiveStars card. This customer just hit 100 points AND got a free drink! Share customer milestones! Step 4: If you’re loving steps 1-3 and want to do something even more special, shoot us an email at social@fivestarscard.com. We’re here to help you get more social with your rewards program! If you don’t have a twitter account for your business, feel free to skip this part (or be inspired to create one). Twitter is a fantastic social resource for business owners because it allows you to communicate with your customers before, during, and after their visit to your store! Not only do these interactions build closer relationships with your customers, they help create online brand evangelist who will then promote your business to their friends (we like to call this Word of Mouth 2.0). Before FiveStars, you were limited to reaching just your social network. 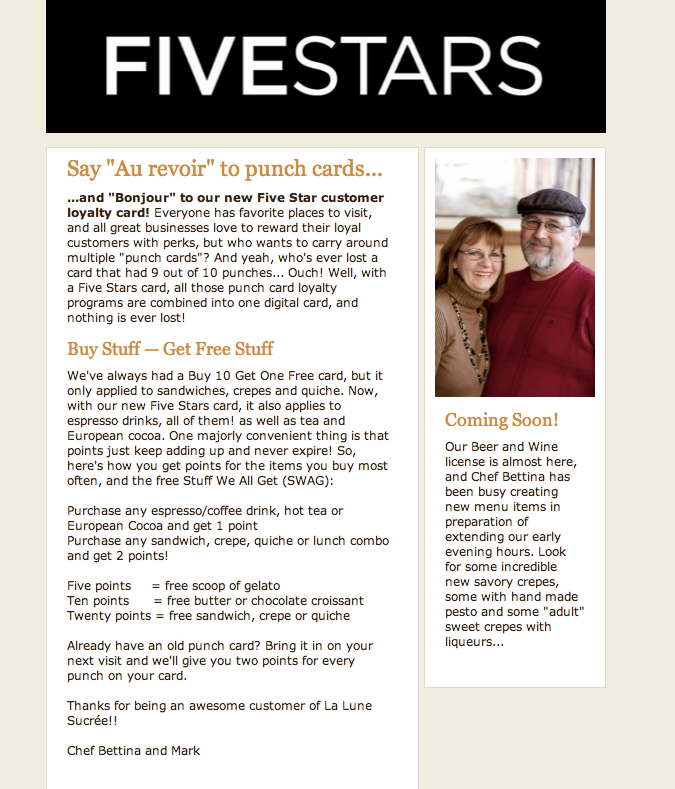 By becoming a FiveStars member, you can now reach out to ours too! 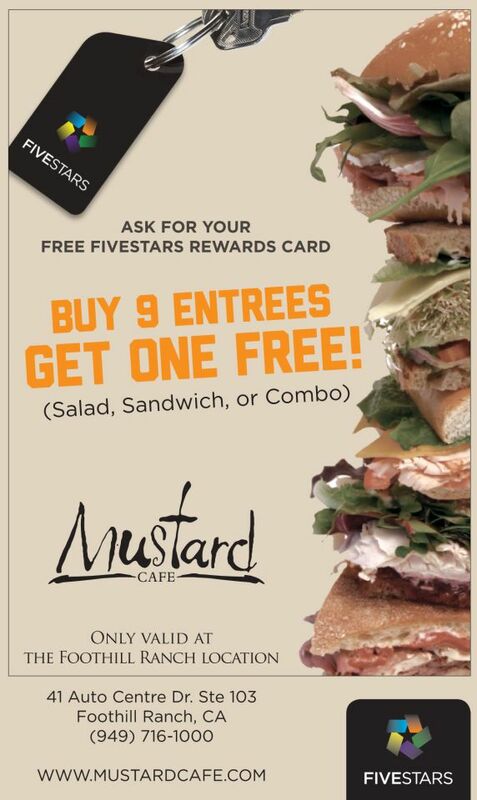 Step 1: If you haven’t already, “follow” @FiveStarsCard on twitter. This will allow you to easily mention us in your posts. Step 2: Tweet about being a part of our network as well as the reward you are offering. We WILL retweet this to our network! Just make sure you “tag” us in the tweet. Step 3: Get your customers to come in even more frequently by running spontaneous specials. Be sure to tag us in these posts so we can promote them for you and send you more cardholders from our network! If you have a website, this is a great opportunity to get more of your customers asking for a loyalty card. You can execute this in a variety of ways. The most common we’ve seen is a simple embedded link that takes your site visitors to your business profile on our website. This helps your customers learn about your specific program and encourages them to sign up on their next visit. Here’s a great example from a current client. 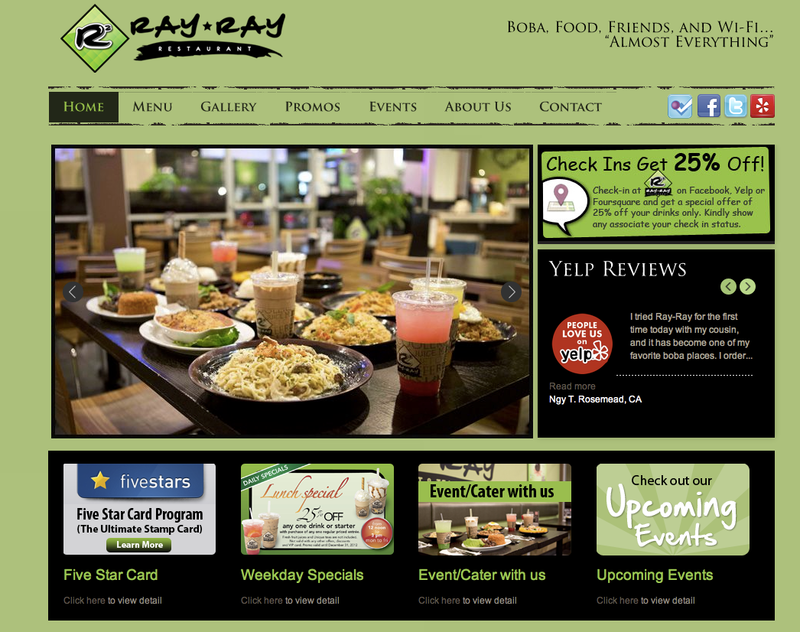 Click on that link and it takes you to their loyalty program profile on our website. Using your online resources is a great way to keep customers engaged in your loyalty program, while enticing even more customers to sign up! We’d love for you to reach out to us with your online promotions so that we can put your business in front of our larger network of eager cardholders. We’re excited to see the creative ideas your business will come up with, and again, if you need any help along the way, please reach out to us at social@fivestarscard.com. Gracie is the online marketing strategist at FiveStars Loyalty. When she’s not busy muttering about customer loyalty or marketing strategy, she can be found outside enjoying the sunshine, owning the foosball table, or jamming out on her speaker backpack like a boss.